Okay. 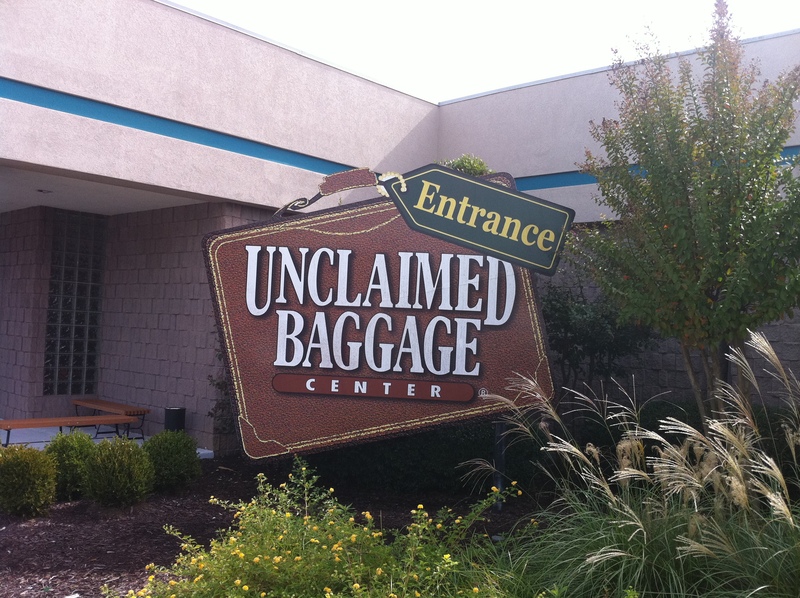 Let me preface this post by saying a visit to Unclaimed Baggage Center is NOT on my ‘bucket list.’ However, I’ve always wanted to go there! So, today we did! It was in 1988 when I started working for the airlines that I heard about ‘this place in Alabama’ that many airlines send unclaimed items for resale. I was like ‘really? !’ Fast forward to 2010. Today I finally took the opportunity to go. 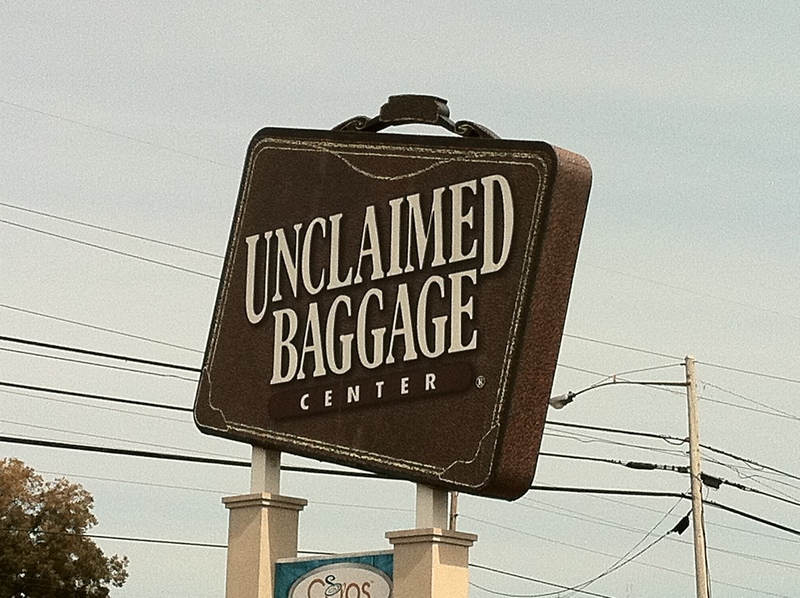 Unclaimed Baggage Center is located in Scottsboro, AL and is about a 2.5 hour drive from Atlanta. 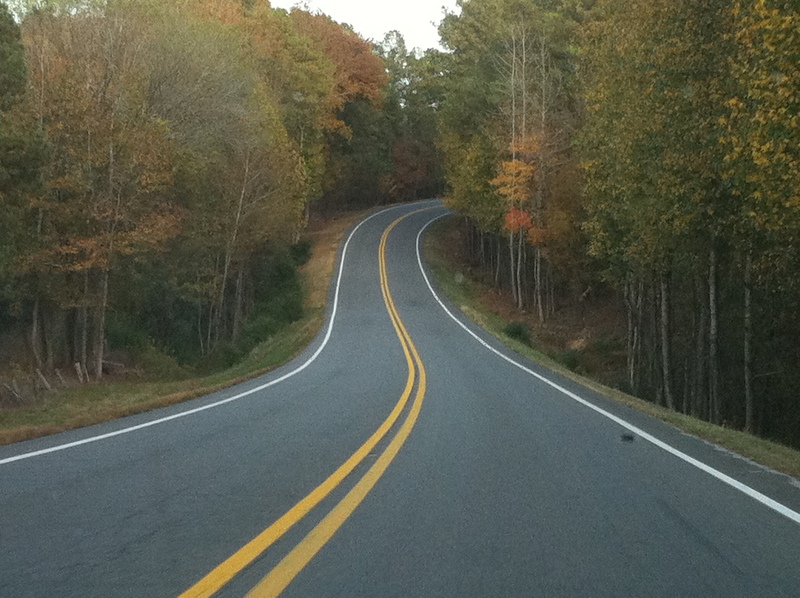 We took the scenic route which takes you through NW Georgia. 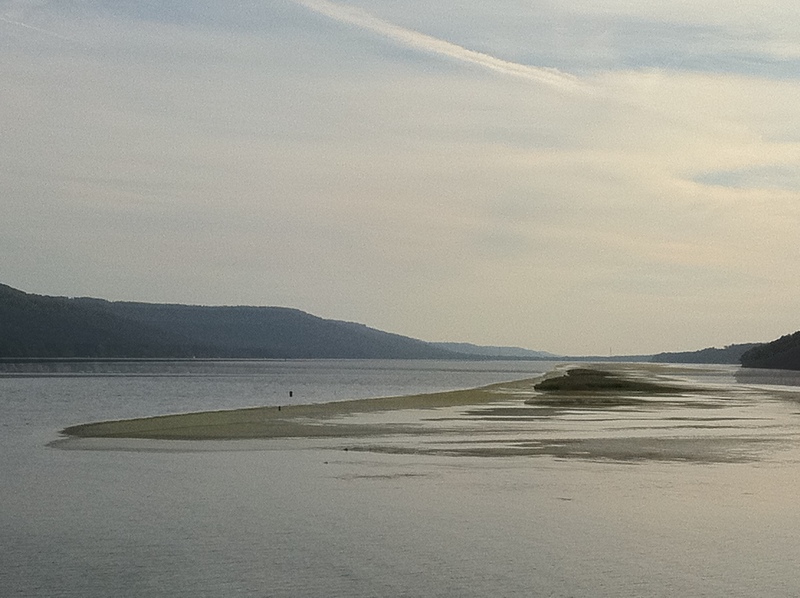 On the drive you pass Lookout Mountain, beautiful lakes and wide open spaces. The leaves were starting to change color too. This made for a perfect roadtrip. The website claims: “The vast majority of items are from unclaimed baggage which, after at least 90 days of intensive tracking by the airlines, are declared unclaimed. However, unclaimed cargo is also available throughout the store.” Even with this description of the store, we didn’t quite know what to expect once we arrived. They claim over 1 million customers pass through their doors every year. The idea of “Lost Treasures from Around the World” really piqued our interests. Let me say I’m not one who likes shopping. However, by the time we arrived we were pretty excited. The front of the store is pretty unassuming; it looks like many buildings in strip malls located throughout the US. When we walked in we were greeted by the ‘concierge’ (who knew?). She was pleasant and asked if we needed any assistance. We were a little overwhelmed but started in the DVD/CD section; there were hundreds and hundreds of new and old ones! We moved on to electronics. There were Bose noise canceling headsets, earbuds (was looking for Beats by Dr. Dre), Bluetooth earpieces, cameras, iPods, iPhones, Blackberry’s, flip phones (I know, right? Who still uses those?!) and get this…Texas Instruments scientific calculators! In sporting goods we observed a couple using the infamous “Shake Weight” (that thing is just wrong! ), camouflage hunting outfits, sleeping bags, crossbows and even an ab machine. Books, books, books! It was like a mini library. Paperback, hardcover, memoirs, fiction, children’s books, tons of travel books. We ended in the men’s section. There was SO MUCH to choose from. 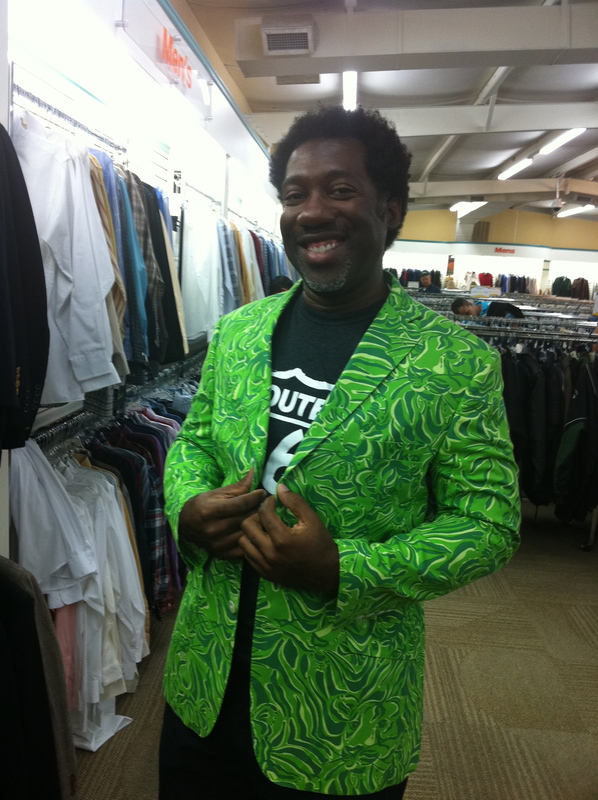 My favorite was a decorative green blazer 🙂 I mean really? I can see why this was left on the plane! There were racks and racks of coats, blazers, shirts, slacks and sportswear. There’s even an Annex that has tools, appliances and anything else that doesn’t fit into the shopping categories of the main store. 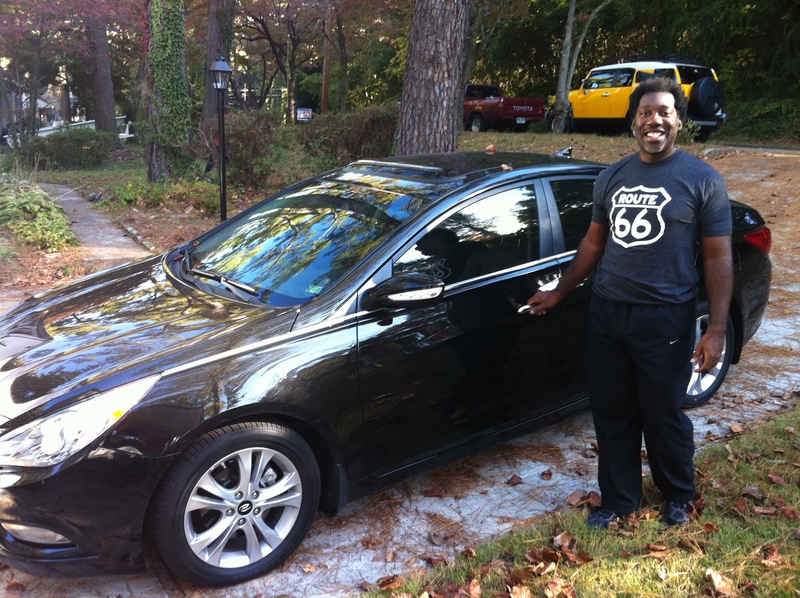 The salesperson we checked out with was very helpful and friendly. She told us the store receives items everyday from most of the major airlines. She was not allowed to let us know which ones but assured us all the majors send stuff there. I left with 4 business shirts (including Faconnable, Kenneth Cole), 4 books (includingFreakonomics, Drive) and 2 fleece pullovers all for less than $50. All in all a pretty good day of shopping. 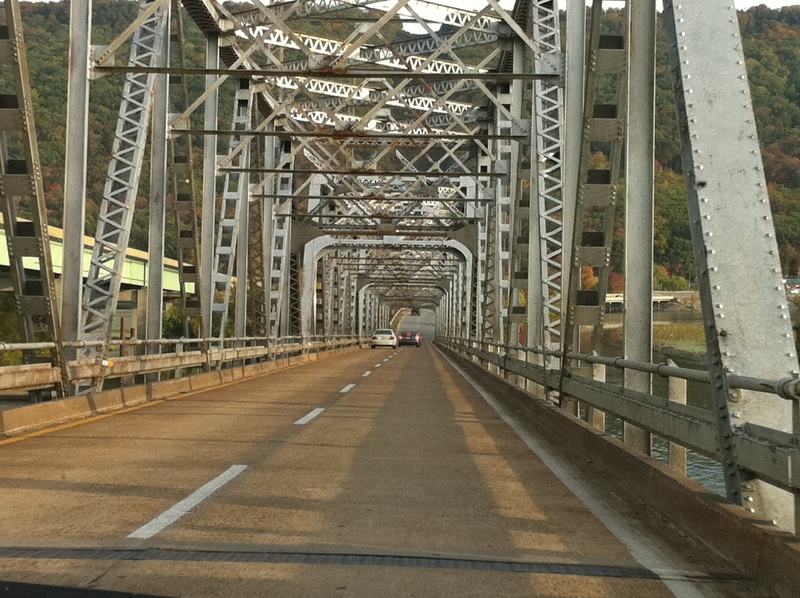 So, if you should decide to go…and we strongly encourage you all to go…let us know. We’ll answer any questions you may have and give you a shopping list of things to pick up for us! It’s funny, we really, really prefer to fly; it’s just more fun than driving. However, this roadtrip was a good one. 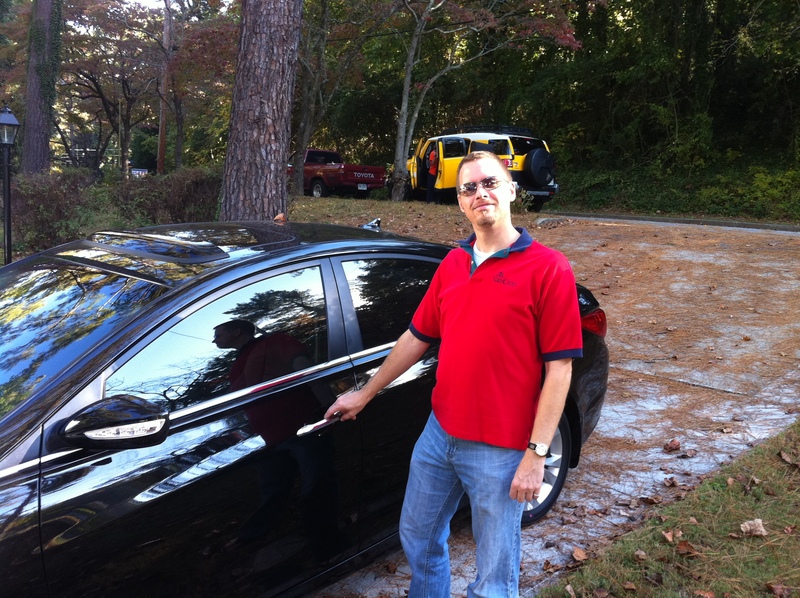 Even though we drove it was still related to aviation. So, go and let us know what you get. We’re already planning our return visit!